Weather conditions, the moon and the tide were all crucial factors when planning the June 1944 invasion of north-west Europe. 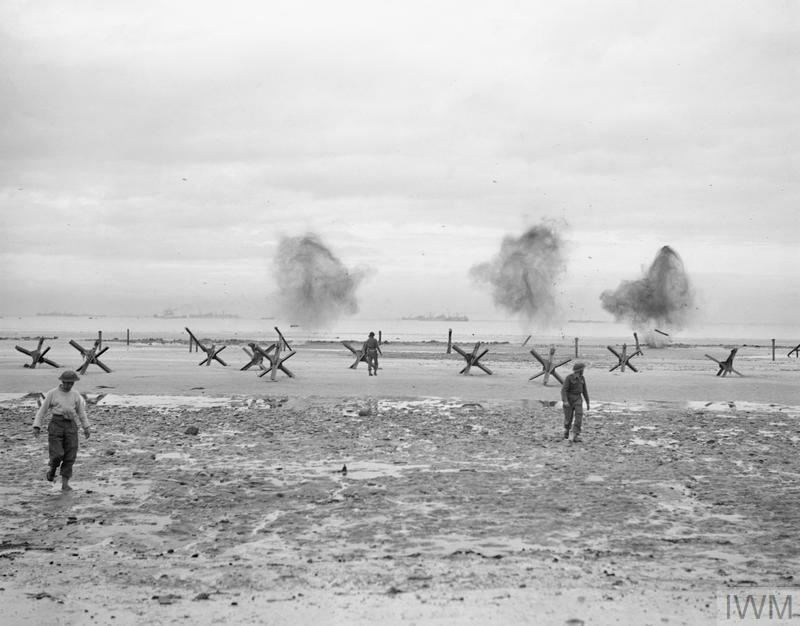 Air operations required clear skies and a full moon for good visibility, naval operations required calm seas, and ground troops needed to land at low tide, when German beach obstacles were exposed and easier to deactivate. D-Day required the best combination of all these factors and the Allies consulted a number of meteorologists and other experts when planning the invasion. In 1942, British mathematician Arthur Thomas Doodson had begun working on existing models of tide-prediction machines - essentially mechanised calculators that could reveal tidal patterns. In 1944, using his specially modified machine, Doodson identified the exact time the landings should take place (H-Hour) and that D-Day should fall between 5 and 7 June. Thousands of landing craft were used to transport men and equipment across the English Channel on D-Day. Many different types of craft were used. These ranged from tiny Assault Landing Craft to huge Landing Ships. Other landing craft were fitted with guns or rockets. There was even a 'Landing Barge, Kitchen' to prepare food for the troops. 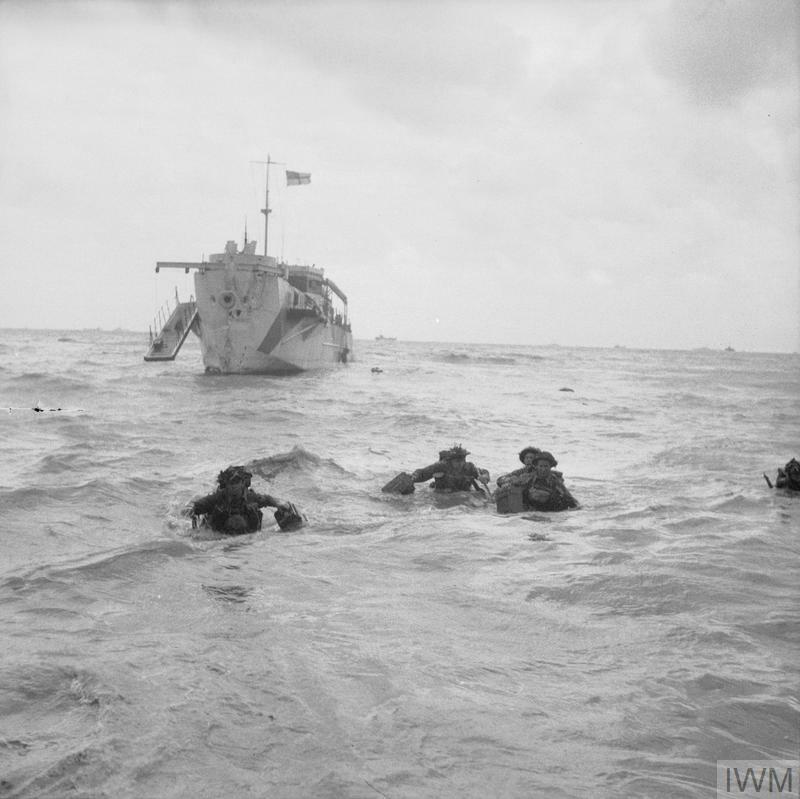 The use of landing craft meant that the Allies could land troops and heavy equipment, such as tanks, on strongly defended beaches that were not previously intended to receive supplies. 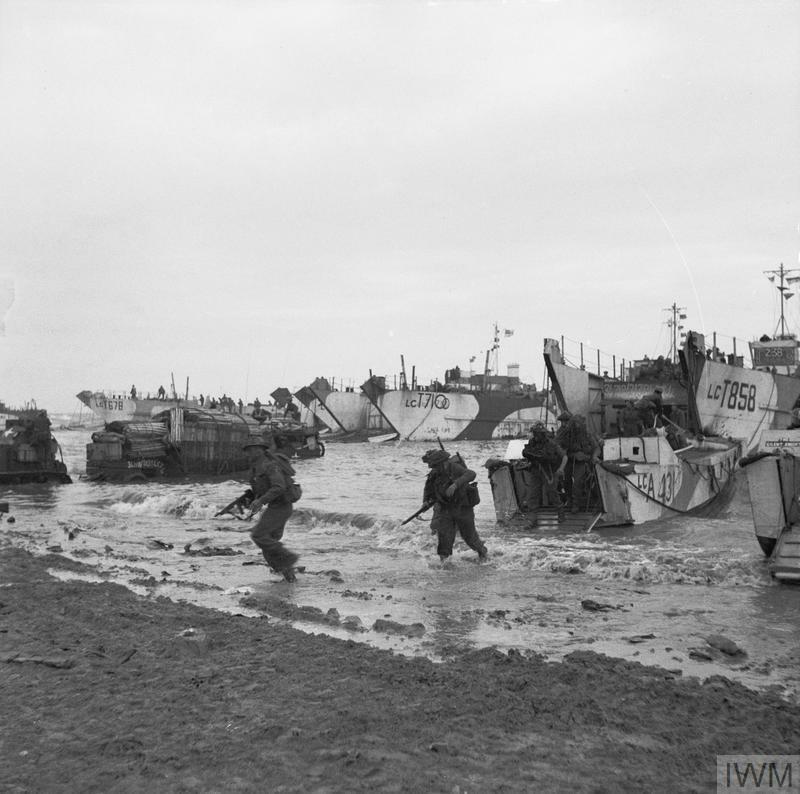 Because equipment could be brought directly onto the beaches, the landing craft were also a short-term solution to the problem of securing the harbours and ports that were needed for the immediate build-up of men and materiel. Although the development of specialised landing craft began early in the war, it was only on D-Day that they were used on such a scale. 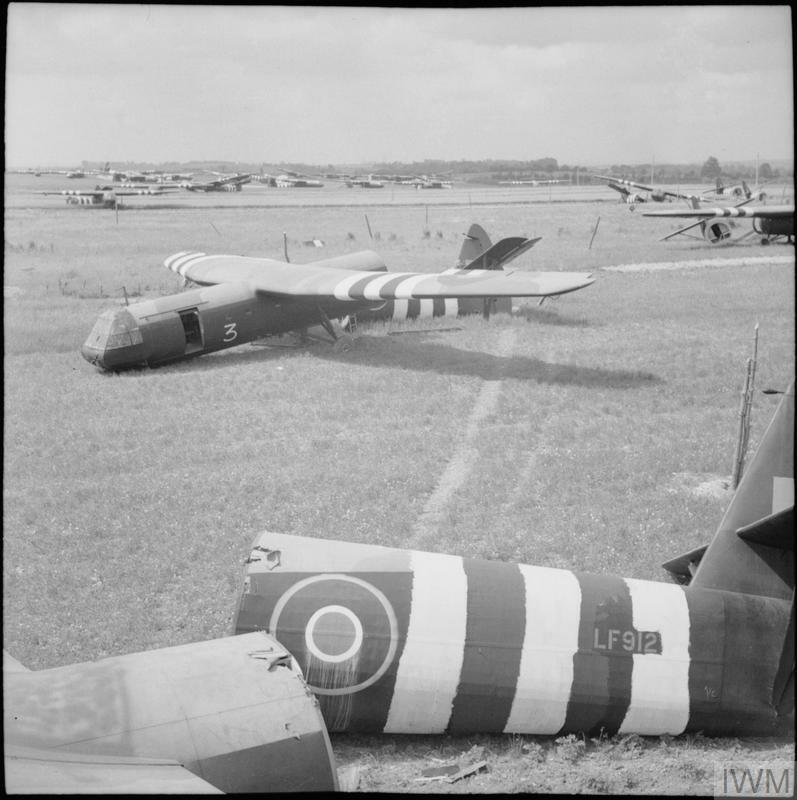 Horsa gliders were first produced in 1942 and made significant contributions to airborne assaults throughout the latter part of the Second World War. On D-Day, these gliders were used on an unprecedented scale to transport troops and supplies to Normandy. They were towed by transport or bomber aircraft before gliding into the landing zone, where supplies could be retrieved. Gliders transported heavier equipment that could not be delivered via parachute drops or when using larger transport aircraft was not possible. The hinged nose and removable tail section allowed cargo to be unloaded relatively easily without damaging the overall structure. But gliders were flimsy – constructed mainly of wood and fabric – and were difficult to operate. They would often violently break apart on landing, especially during improvised or crash landings. These unusual vehicles played an important role on D-Day and throughout the Battle of Normandy. The failed raid at Dieppe in August 1942 exposed how difficult it was to land armoured vehicles during an amphibious invasion and to break through German coastal defences with insufficient armoured support. As a result, armoured vehicles were designed to perform specialist tasks and reinforce ground troops on D-Day. These vehicles were nicknamed 'Hobart's Funnies' after their inventor, Major-General Sir Percy Hobart. 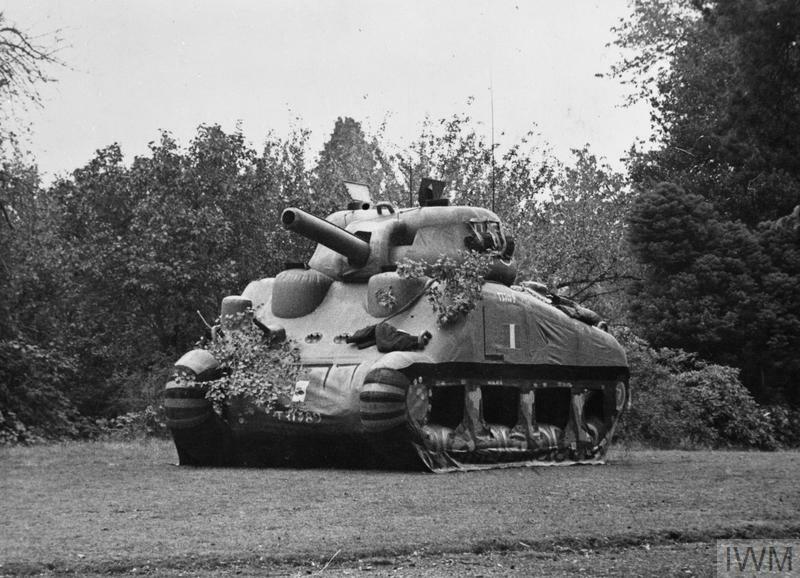 They include the Duplex Drive (DD) 'swimming' tank, like the one in this photograph; the 'Crocodile' flamethrower tank and the 'Crab' mine-clearing flail tank. Although the Funnies had been used in simulation and training exercises, they had not been tested in combat until D-Day. Modified vehicles known as AVREs (Armoured Vehicle Royal Engineer) were created by adding specialised devices to tanks. One example, the 'bobbin' carpet layer tank, laid reinforced matting on sandy beaches so other vehicles could drive across the soft surface. After D-Day, the Allies needed to continually build up reinforcements of men and supplies in Normandy to sustain the invasion's momentum. 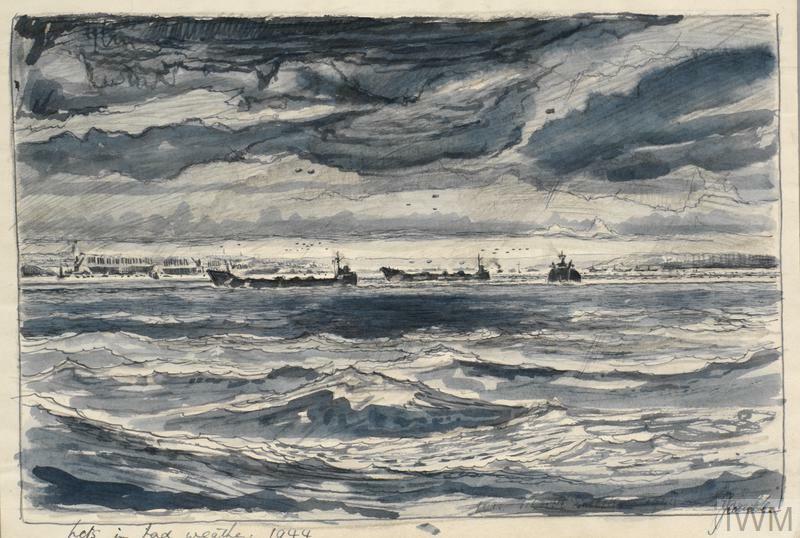 Previous experience taught the Allies hard but important lessons about the need to secure harbours and ports - harbours to provide protection from bad weather and rough seas, and ports to provide a place to ferry men and cargo. The planners responsible for 'Overlord' proposed creating two artificial harbours - codenamed 'Mulberries' - by sinking outdated ships ('Corncobs') and large concrete structures ('Phoenixes'). 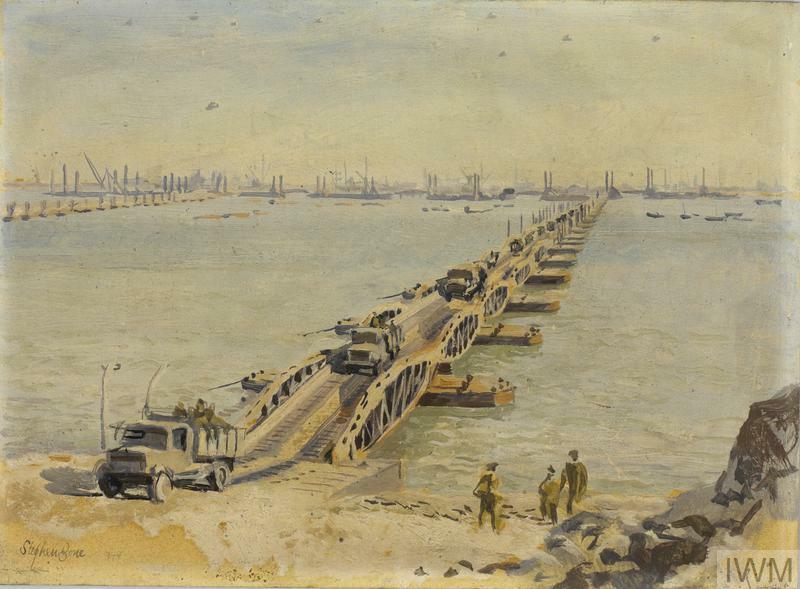 Adding floating roadways and piers (codenamed 'Whales') would allow them to use the beachhead as an improvised port. PLUTO - short for 'pipeline under the ocean' - supplied petrol from Britain to Europe via an underwater network of flexible pipes. It gave the Allied forces access to enough petrol to fuel aircraft and vehicles and to sustain the momentum of their advance. Two PLUTO pipelines ran from the Isle of Wight to Port-en-Bessin - the linkup point between Omaha and Gold beaches. Another pipeline was added later, running from Dungeness on the Kent coast to Boulogne in France, and the PLUTO network continued to expand as the Allies advanced across Europe. 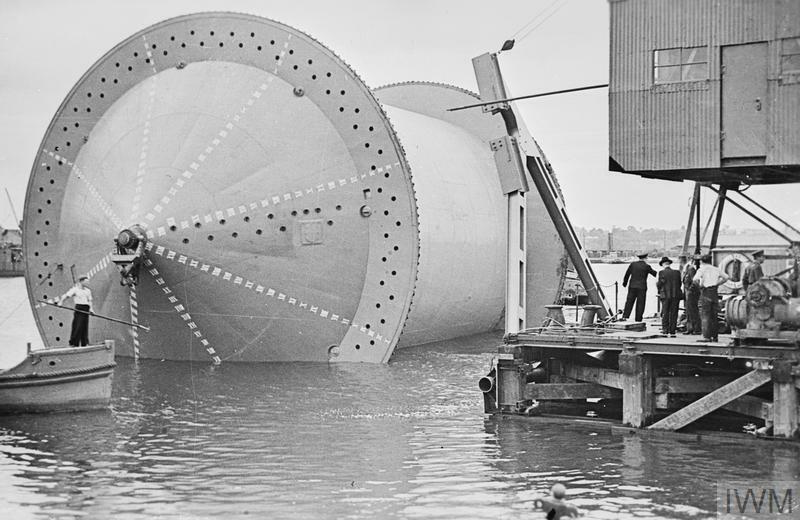 The 3-inch-wide pipeline was wound around giant floating spools called 'conundrums' - like the one in this photograph - and then unrolled across the Channel. When Field Marshal Erwin Rommel was put in charge of German defences in Normandy, he believed that any invasion would come at high tide, when the beachhead was at its narrowest and troops would be vulnerable to German fire for the shortest period of time. He therefore devised a series of obstacles adapted for use under water that would be completely concealed during mid and high tides. 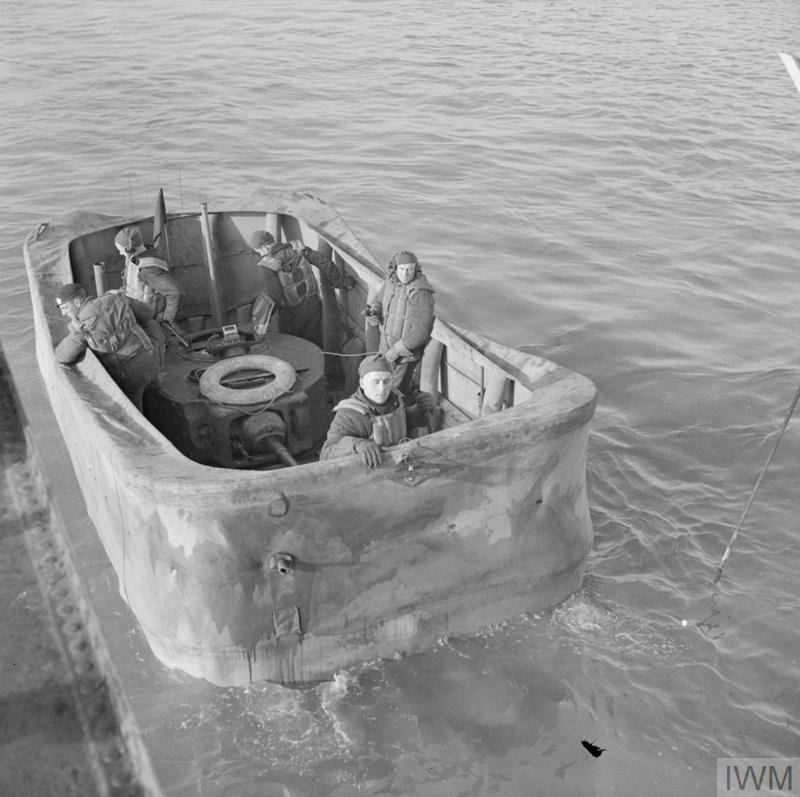 The jagged edges of iron 'hedgehogs', pictured above, could tear through the bottom of landing craft. Some were rigged with explosives that would detonate on impact. Round, flat land mines (called 'teller mines' after the German word for 'plate') were attached to wooden posts wedged into the sand and would explode when they came into contact with landing craft. Inland, Rommel also designed a network of large posts fixed vertically into the ground that prevented gliders from landing in open areas. These defences were nicknamed 'Rommel's Asparagus'. The planning team responsible for the invasion of Normandy had to consider the weather, the moon and tides when assigning a date for D-Day. Air operations required clear skies and a full moon for good visibility. Naval operations required low winds and calm seas to safely transport troops ashore. The Germans knew that at some stage the Allies would launch a cross-Channel invasion, but they were unsure of exactly where or when it would take place. As a crucial part of their preparations for D-Day, the Allies developed a deception plan to draw attention away from Normandy.